It's real! It's finally real! 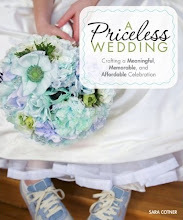 My editor at Voyageur Press sent me an actual copy of my book A Priceless Wedding: Crafting a Meaningful, Memorable, and Affordable Celebration. It has taken years to get to this point (from looking for an agent, to revising my 20,000-word proposal, to interviewing with publishing houses, to revising the structure of the book, to drafting it, to revising it, to holding it in my hands). I was worried that I would be disappointed with the end result (it's easy to be disappointed when there are four years of build up! ), but I am overjoyed with the result. I can't believe my words (and the words of kindred spirits) fill up 208 pages in a real book. I started reading it as soon as I got it. I'm on page 68 and I'm honestly enjoying it. The book has come a long, long way, thanks to the support--in particular--of M.J. Bodeau, Anna Zeide, Beth Dehnart, and the team over at Voyageur Press. They worked really hard to sand and polish it into something presentable (and hopefully helpful). I am also indebted to countless other kindred spirits over the years who shared their experiences and revised sections of the text. It's a full-color book with all kinds of inserts: DIY projects, worksheets for helping you clarify your vision, and thoughts from wedding veterans. 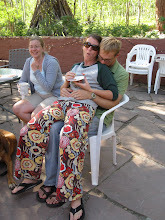 I love Anna-Marie's letter of apology to her wife for becoming "wedding-possessed" and Kristen Walker's personal reflection about her experience with couples' counseling. And there are so many quotes that provide alternate perspectives and illustrate that each of us have to make decisions that make sense to us. I can't wait to read it, even though I already got married! Congrats to you!! I have just pre-ordered your book for my friend, and I wish it were available now, or at least before Christmas!! I came upon your testimonial at greenKarat.com, and I am so thrilled to be able to share this with her! 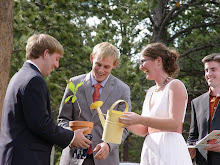 You are a God send to all of the couples out there who are in fear of anything less than a memorable and affordable wedding. I will be sure to share this wonderful blog with her as well. Thank you for all of the hard-work and dedication you committed to in sharing your experience, and knowledge, with the world. Jodi, it's so nice to still see you around these parts! 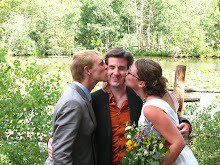 I hope you're settling into marriage well. @ Anonymous: I'm thinking it will be released before Christmas. Fingers crossed! Yay, so excited for you! It must feel wonderful to hold it in your hands after all of that work - congratulations! 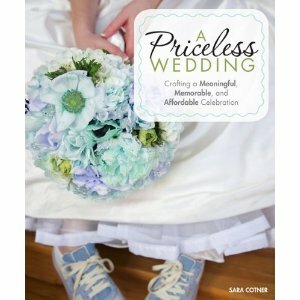 I think it will a wonderful resource for brides to come.